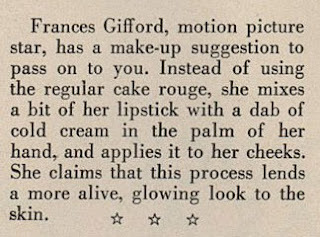 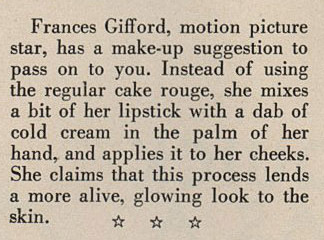 From a wartime issue of Modern Woman magazine, a tip from Frances Gifford on adding lipstick to your cold cream to add glowing color to your cheeks. 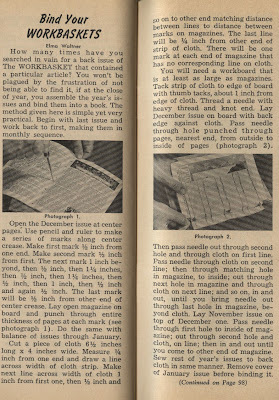 This article was published in Modern Woman Magazine (Volume 17, Number 1, 1948) and is credited to Mrs. Jean Robinson, "Washability Expert, White King Soap Co." The problem fabrics covered are highly colored prints; jersey fabrics and jersey-type fabrics; chintzes and glazed fabrics; rayon crepes, taffetas, organdies and nylons. 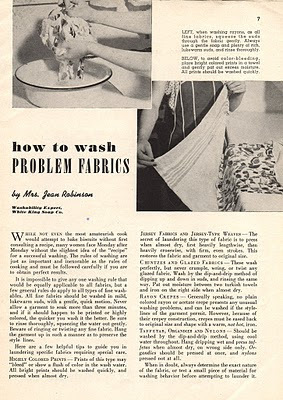 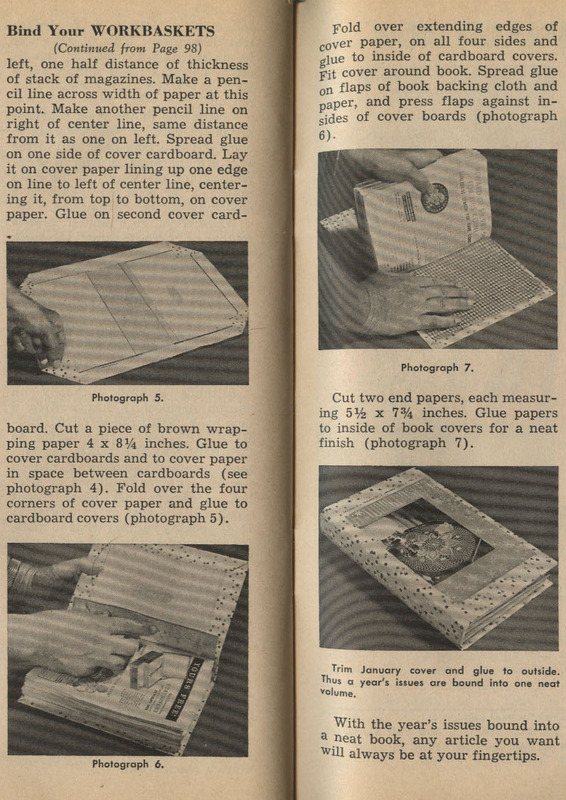 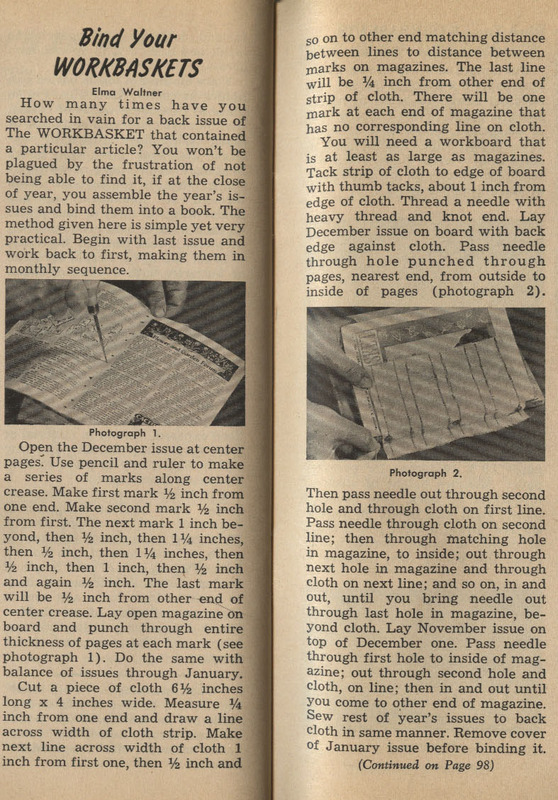 Since textiles have changed a lot since 1948, these tips are probably of most use to those who love and wear vintage fashions and collectors of vintage textiles. 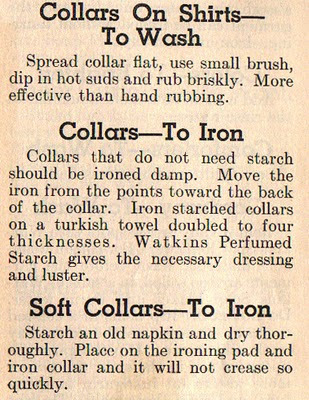 Several tips on collars from that vintage Watkins Household Hints by Elaine Allen. This post sponsored by by cheap web hosting. Using cornstarch to keep hands dry; tip from that October 1960 newspaper clipping.